Dominique Coulon graduated in 1989 with Henri Ciriani and founded his own studio in the same year. In 1990, he received a special prize in the international competition for the Centre for Japanese Culture in Paris. In 1991, he is the winner of the Villa Médicis Hors les murs and travels to the USA, South America and Europe. In 1996, he receives the "1ère œuvre" prize for the Collège Louis Pasteur in Strasbourg. He is nominated several times in the prize list of the "Equerre d’Argent" (1999, 2002 and 2006) and in 20016 he receives the prize of the "Florilège d'Etablissements d'Enseignement Exemplaires du PEB" organized by OCDE for the school Martin Peller in Reims. In 2008 the agency was nominated for the Swiss Architectural Award and for the European Union Prize for Contemporary Architecture – Mies van der Rohe Award for its Centre Dramatique Nartional de Montreuil. Concepts of sustainable development, respect for historical contexts and responsibility towards the environment and its ecologies are amongst the main concerns for the agency. In addition to his architectural production, Dominique Coulon teaches at the École d’Architecture de Strasbourg where he founded the Masters program: Architecture and Complexity. As a way to find a new dynamic approach to each architectural project, the agency's methodology draws upon the rich exchange of information stemming from interdisciplinary work. Complexity becomes the catalyst for the architectural project. 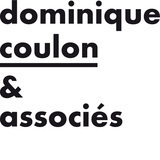 Since 2008 the agency became Dominique Coulon & Associés with Olivier Nicollas and Steve Letho Duclos as partner architects, while Benjamin Rocchi became partner architect in 2014. After completing the "Cultural space Puzzle > PZZL in Thionville", the agency produced a short film to introduce the building.